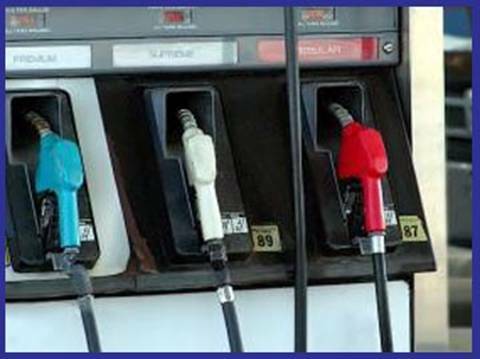 Legislator Becker: Eliminate County Gasoline Tax this Summer! Legislator Francis X. Becker Jr. and the members of the Republican caucus in the Nassau County Legislature have once again introduced legislation calling for relief from rising gasoline prices. Legislator Becker has introduced a bill seeking to eliminate the county gas tax from Memorial Day to Labor Day this summer. In conjunction with New York State Senators Dean Skelos and Kemp Hannon as well as New York State Assemblyman Bob Barra’s bill to provide relief from the state gasoline tax, Legislator Becker’s elimination of the county gas tax will make a tremendous impact on drivers’ wallets. “Our residents are already overburdened with high property and school taxes which are rising faster than household incomes can withstand. Now the price of a gallon of gas has reached $4 per gallon. As an elected representative, it is my responsibility to seek out ways to help our residents. This proposed elimination is just one way that the county can help our drivers, ” said Legislator Becker. Here’s how it works - if the base rate for a gallon of gas is $3.00, the taxes currently include: $.18 per gallon for federal tax, $.32 per gallon for New York State tax and 4.25% per dollar (or approx $.13 per gallon) for Nassau County tax. Elimination of all 3 taxes would save a driver up to $.63 per gallon of gas, and even more as the base price of gasoline continues to rise. On a 15 gallon tank, a driver can save up to $9.45 or more, every time he or she fills up. For a 2-car household, that’s over $18.90 per week or $265 for the summer! The Republicans sought to introduce similar legislation in both 2006 and 2007, but were blocked by the 10 member Democrat majority on the Legislature. On both previous attempts, the Presiding Officer refused to place the proposal on the legislative calendar for a vote. The Legislation was submitted on May 12, 2008. The legislators await the passage of the New York State bill through the state Assembly so the county’s bill can be placed on the calendar for a vote as soon as possible.